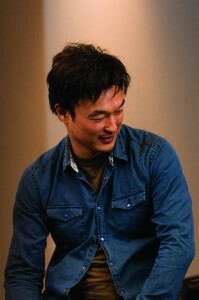 Ins Choi’s playwrighting debut, “Kim’s Convenience,” won the New Play Award and the Patron’s Pick Award at the 2011 Toronto Fringe Festival. The show went on to open Soulpepper’s 2012 year, where it played to sold-out houses. We talk about what it was like growing up with a pastor for a father and how he drew from his personal experience to write his play, “Kim’s Convenience,” which is set in the world of a Korean convenience store owner. Check out episodes that also mention Fringe, Soulpepper, Toronto, Writing.